Computerized Provider Order Entry (CPOE) is a medical technology that can produce tremendous benefits for your patients and healthcare personnel. Medical technology of this type can greatly reduce medication errors, reduce costs for your healthcare facility and save time for your healthcare personnel resulting in a higher quality of patient care. All of our CPOE products include Advanced Integration. Advanced Integration is functionality designed in our software that allows prescribers to enter patient orders using our order entry modules in a way similar to how they would manually prescribe and then this order information is processed by our software to produce the mixture order that would be dispensed for administration to the patient. 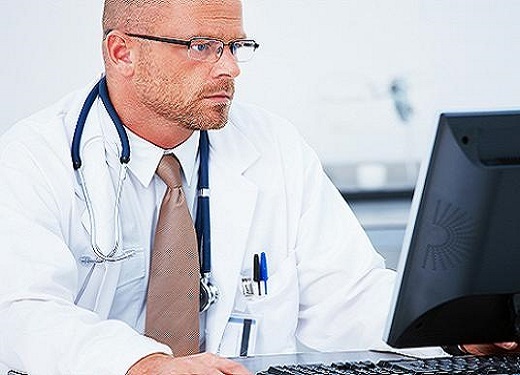 Once the patient order has been processed by our software, all or part of this order and mixture information can be sent seamlessly to all medical computer systems that need this information. Advanced Integration also includes multiple points along this integration path for medical personnel to check the results of this process. Our network based software is designed to integrate seamlessly with other medical computer systems to create a paperless transfer of all CPOE order information from the prescriber that enters the order to the internal or external system that prepares the mixture for administration to the patient. All of our CPOE software modules share the same integration with other medical computer systems. If your facility does not use an outsourcing or in-house preparation system, our software can print detailed instructions for preparing these types of orders manually. You can select all, one or any combination of our order entry modules that you want to use at your facility. These order entry modules work best if they are used together but each order entry module is independent of other modules and can function by itself to handle a specific order type. Product Demonstrations can be viewed from any PC or laptop that has an Internet connection or we can visit your facility and show the demonstration onsite. Our products are demonstrated by our knowledgeable clinical representatives who will also provide additional detailed information about each product.